﻿ Bundhaya Villas, Koh Lipe | FROM $88 - SAVE ON AGODA! "Beach is great for running." Have a question for Bundhaya Villas? "Will definitely stay there again if i visit Koh Lipe." "Beach front villa is spacious and nice with stunning view." 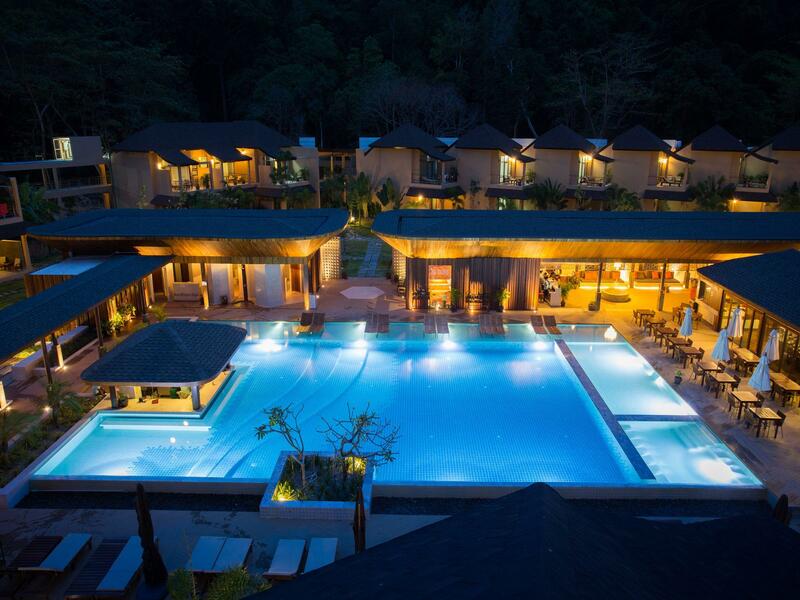 Located in the lovely area of Pattaya Beach, Bundhaya Villas enjoys a commanding position in the romance, beaches, sightseeing hub of Koh Lipe. With its location just 60 km from the city center and 180 km from the airport, this 4-star hotel attracts numerous travelers each year. With its convenient location, the hotel offers easy access to the city's must-see destinations. Bundhaya Villas offers impeccable service and all the essential amenities to invigorate travelers. A selection of top-class facilities such as free Wi-Fi in all rooms, convenience store, daily housekeeping, gift/souvenir shop, postal service can be enjoyed at the hotel. Guests can choose from 29 rooms, all of which exude an atmosphere of total peace and harmony. The hotel offers an excellent variety of recreational facilities, including canoe, watersports equipment rentals, private beach, fitness center, sauna. 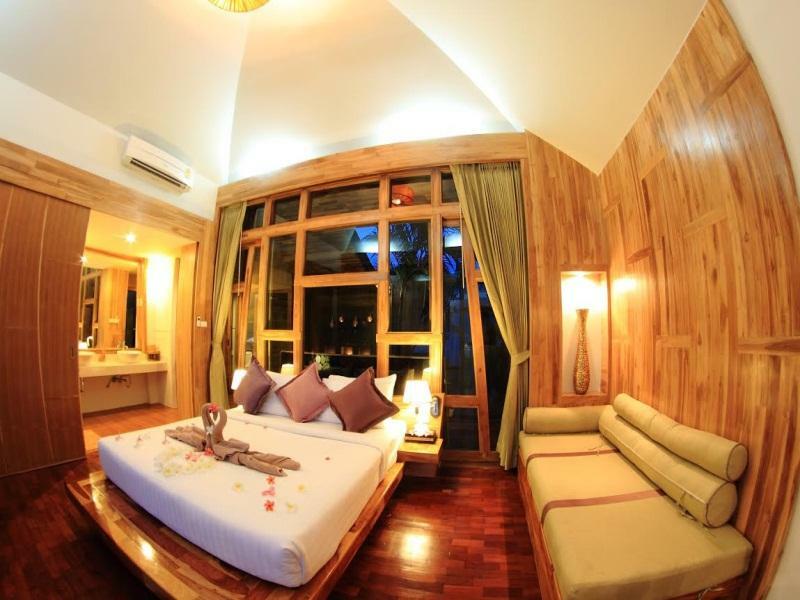 Bundhaya Villas is an ideal place of stay for travelers seeking charm, comfort and convenience in Koh Lipe. "Great Holiday + Low season = Best Value." The room very big, swimming pool also large, clean and convenient. Breakfast is one of the best set by the beach. Atmosphere is excellent. We were so happy to choose to stayed here. We stayed at a beach front villa for 3 nights. We could here the sound of the waves lying in bed. We walked around the island to see other hotels and accommodations. My partner said that he wouldn't stay anywhere else but here. That this place had set a standard. The room was spacious. There were 2 showers. We love the outdoor one more. Breakfast was great. Changes everyday. We had lunch at the villas restaurant once and it was some of the best dishes we've tried on the island. We have only had it once because we wanted to try out others. I have read other negetive comments about staff and I can understand why by being there myself but you do have to understand that the staffs here are local on the island. They may not have the professional training that the staff in Bangkok has. And please remember that this island is their 'home' and that you're a visitor. Please treat the locals with kindness. Anyway... After a that we love everything here and will definitely be back. Love Bundhaya Villas, love Koh Lipe. it was my first time to Koh Lipe, and was quite worried what to expect. but this villa totally set the bar for excellence service and hospitality. we were picked up at the pier by the beach (pattaya beach) even though our villa was just 2mins away. the staff would stand with the sign which made things so much easier. once we marked our names, we were told to wait in the shade while he waited for our luggage to be unloaded from the speedboat. from there, he would help with them all the way into the villa's reception for check-in. and then, again to our villa. great great service. location of the villa is just next to the beach. perfect location to start off your day. 5mins walk from Walking Street. it's a really small island, so nothing is far from anything. a day before check-out, a note is left at our villa door as a gentle reminder. thumbs up for that. a staff came by in the morning to help check us out. all in all, great villa, great service, great breakfast spread. This is my 2nd visit to Lipe & 2nd attempt stay with Bundhaya resort... First was also Bundhaya but it was beside it. This round is a higher posh resort Bundhaya villa.. 👍🏻 Great resort n nice view... Breakfast was alright, pool a bit small but it was alright. Very quiet place, further away from the walking street but still walkable distance. Nice swimming pool and breakfast! Abit disappointed with their bath tub as it feels creepy and too enclosed. Ended up not using it. Other than that the room is very fine. ONLY CHECKED OUT FROM HOTEL WANT TO WALK SO FAR ,GET THE VEHICLE SEND OUR TO JETTY.....GOD BLESSED THEIR STAFF SO GOOD SERVICE TO CARRY OUR LUGGAGE.....OTHERS IS VERY GOOD FOR ME ,I WILL RECOMMENDED TO ALL MY FRIEND. Room is very comfortable also very clean, beach bungalows on the sea, very good, hotel room service very polite, service is very thoughtful, finally sent us to the pier boat, Swimming Pool Gym are very good! Good hotel, well thought out facilities and amenities. Good breakfast. Excellent location, morning buffet was good but service was average. The rooms were clean but bathrooms were smelly as there was no extractor fan. walking distance to koh lipe walking street. good environment and nice hotel. Provide 10% VIP discount for food, services to hotel guests. Took me too many emails to request for cancellation of 01 of the 03 rooms prior to arrival as my daughter was hospitalised. The hotel reservation team (Ms Angsana I think) was curt and very unprofessional in her replies. No empathy to our situation was shown only a hotel that insisted that no refund will be done. It will also probably be my last time booking with Agoda as they do not make it convenient to reach them - its either self serve or deal with the hotel. We bought 8 deluxe balcony rooms for 10 adults n 8 accompanying children from Agoda on early birds promo n was told the reasons why we got our rooms at the rear end of resort were because we paid cheap price for it! We were charged 2 extra persons 3200 baht because of 2 extra young girl 11 & 14 years old. And the receptionist was extremely rude n bossy. Horrible experience!The swimming pool are terribly damaged at one side of it. the buildings walkways in front of our rooms are so dirty especially the staircase to the first floor. And it's full of mosquitos in our rooms because it's full of garbages in the jungles at the back of the hotel which our hotel rooms entrance are facing. The WIFI is super lousy slow. Rained heavily request for umbrella to rush back for check out but was denied. Only after attempts of persuasions only were borrowed a few umbrellas. The staff looking after room management carried out their work to a very high standard. Their was constant club music played around the pool area, which for us spoiled the tranquillity, quiet relaxation or reading was as a result very difficult, however, this is obviousley down to personal taste. This hotel is on the end of pattaya beach. Directly on the beach. This part is very quiet. Because all the (ferry) boats stop a bit further. This is on the other side a disadvantage, because when you want to go to „walking street“ or an other place, you have to walk by the beach. In the evening quiet dark. The staff is very helpfull, take care of many wishes. Pick you and your luggage up at the arriving point of the boat. And after check out also back by motor bike. The big pool is very good and supplies many beds. The only disadvantage: there are no „stairs“ to get in or out the pool. For older people not so good. Breakfast VERY GOOD!!! Good variety and great quality. Have many asian food, fresh fruits (many kinds), soups, pancake. The room is good, but some small things are missing: a place to put your wet clothes (swimming suit) or wet towels on. There were 2 showers but one didn‘t have much power on the tab. So no good for showering.The internet/wifi is very slow! The hotel is located at the end of Pattaya beach, so it's not really crowded. Beach front villa is spacious and nice with stunning view. A very good place to relax. The swimming pool is so good. The food at Sala restuarants is delicious and nice. Staff is very helpful and friendly.